Email marketing is an important tool in the development of a business. Research shows that permission based emails have a higher turnover rate than the unsolicited ones. The right strategy can win over a number of consumers and increase the return on investment. You can not only boost sales with the tactics, but also generate a number of strong leads. Your brand visibility will also increase a lot and as a result your traffic inflow to your web site will also go up. Sending the email is not enough. You need to make sure that the email is opened and read and replied to. 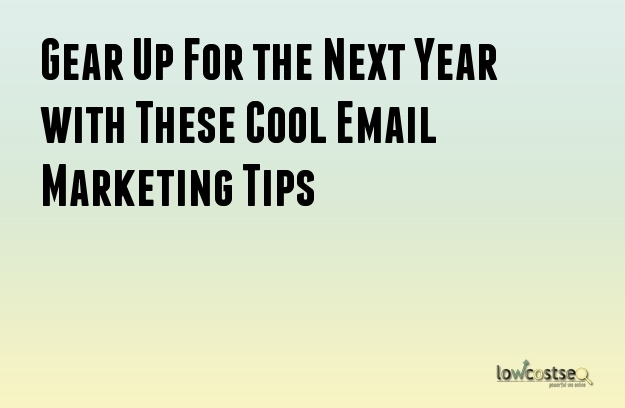 There are certain unbeatable tips to make sure that your email marketing gets the maximum exposure. Build permission list for your email marketing campaign. Knowing your target audience is a very important part of any successful marketing strategy. After you get the contact information from your audience, give them something of value. For example a newsletter or brochure, information on your products, etc. You can also offer discounts and promotional offers. Keep the signing up process as simple as possible. Do not ask the customers to provide an excessive amount of information, but keep it to the point. Keep the option of unsubscribing open to the customers when they want to opt out of the email campaign. If they are unable to do so, they can treat your mails as spams and this might harm your credibility. Make sure that you are able to handle the queries of the customers quickly. They should to have to wait too long for reply from your side. While constructing the email message be creative and concise. Be sure about what message you want to convey to your customers and construct it in a lucid way for your customers to read. If you are sending the emails to the customers on a daily basis, try to make the message short and crisp. No one will want to read long emails every day. Don’t be vague about who the email is from. Put the name of the top boss of the division and give it a personal touch. This way the customers will feel more connected to the company which will be beneficial in the long run. The subject line in nay email is very important. Choose one that is attractive and catchy and will appeal to the customers to open and read. Avoid including the word “Free” in your title or body, since it might make your customers suspicious. For mat of the email is also very essential. Frame the message in a structured format and be careful about the layout, images and media that you put in the body. You can use bullet points to make the message more distinct and clear. In order to understand the results, you can use links that can be tracked or some real-time reports.